The Fitzosbornes, royal family of that small fictional Channel island Montmaray, are back in this third and last book of the trilogy. As you may recall in Book I, A Brief History of Montmaray, the FitzOsbornes - Toby, Sophie, Henry (Henrietta), cousin Veronica and half cousin Simon - were forced by the Nazis to leave their island home and head for London. And in Book II, The FitzOsbornes in Exile, we found them hobnobbing between London and their Aunt Charlotte's Milford Park estate in Dorset. However, there was war in the air and both Toby and Simon decided to enlist in the RAF. All the FitzOsborne doings have been relayed to us through the journals of HRH Princess Sophia FitzOsborne and in Book III, The FitzOsbornes at War, this tradition continues. Sophie, now 18, begins her journal appropriately enough on September 3, 1939, the day that Britain and France declare war on Germany. With England now at war, and Toby and Simon in the RAF, Sophie and Veronica both wish to do their bit to help and even manage to convince Aunt Charlotte to let them move into a small apartment behind the larger Montmaray House in London. Veronica, who speaks fluent Spanish, gets a job in the Foreign Office, while Sophie begins working for the Ministry of Food, a job she does not consider very important to the war effort. And so life goes on under wartime conditions, with air raids, food shortages, and eventually, bombings. All the while, Veronica travels to Spain for long periods of time to translate for high ranking officials and diplomats, and Sophie works and hangs out with friends Julia, who has volunteered to be an ambulance driver, and Kick (Kathleen Kennedy, daughter of Ambassador Joseph Kennedy, sister to Jack and Ted), everything faithfully recorded by Sophie in her journal, as the war becomes the new normalcy. Sophie does occasionally still see Rupert, Julia's brother, but he is working on something top secret and doesn't have much free time. Even so, they find they are more and more attracted to each other. But then, Toby goes missing while flying a mission over France, believed to have parachuted out of his burning plane. And it is as if he vanished in thin air, there seems to be no information about him to be found anywhere. Sophie's wartime journal covers 4 years this time, from September 3, 1939 to November 28, 1944, with one entry dated August 28, 1948. There are, of course, long periods of time elapsing between journal entries, so most are really summaries of what has been happening, which I think works better than lots of more frequent entries, less confusing to the reader. I wrote in The FitzOsbornes in Exile that it was more of a historical novel than A Brief History on Montmaray, and I can honestly say that this third novel is even more historical the both put together. How could it not be? However, Cooper has blended fact and fiction so well, that the divide between them seems almost seamless here, yet the historical information is still quite obvious so that the reader doesn't make the mistake of believing the fictional bits really happened. Clever that. And Cooper has used historical events to help move the story along without overburdening the readers with names and dates and stuff like that. The main characters are still believable, well-developed and sympathetic. Sophie is no longer the young innocent girl she was when we first met her in 1936, nevertheless, she still retains some of her youthful naivety, even in the face of finding true love. Veronica is still Sophie's opposite, rather more interested in the intellectual side of life than the emotional side. And Henry is still Henry, sweet, charming, always exuberant and optimistic. Does The FitzOsbornes at War stand up to it predecessors? Yes, it most certainly does. It is a most worthy sequel to the first two books, though I am not sure it would work very well as a stand alone novel. It doesn't have quite as much wit and fun as before, but there is still enough action, adventure, danger and even love to satisfy, in fact, sometimes there are even some real nail-biting moments. And sadly, there is one spot where you might want to have some tissues handy. And here's the rub - rather than taking my time and savoring this last FitzOsborne novel, I read it almost in one sitting. I simply couldn't wait to see what was in store for these favorite characters. Then, I got to the end and I asked myself, why did I race through this book that I had been so looking forward to reading and now I have to say good-bye to because I'd finished it and there were no more FitzOsbornes on the horizon? So if you like the FitzOsbornes as I do, try not to rush to the end. That said, and as much as I enjoyed The FitzOsbornes at War, I did find two things that bothered me. 1- Henry! I can't say more. The problem with writing about this book is that no matter what you write, it could easily end up as an unintentional spoiler. To her credit, Cooper took a page out of JK Rowling's books and included on post-war journal entry wrapping this up for the reader. Not all is a happy ending, but at least you won't wonder. 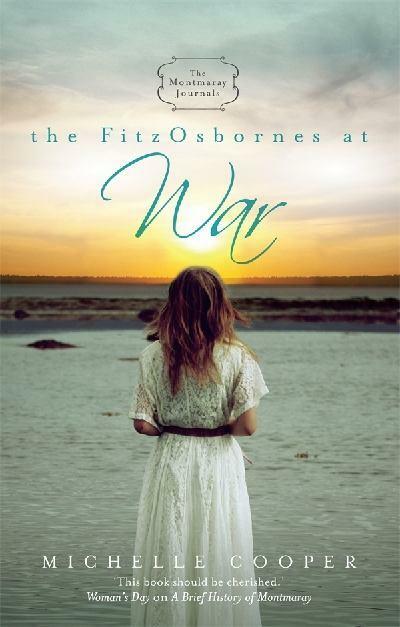 The FitzOsbornes at War is a wonderful personal read, but it is also so full of history that teacher's may want to supplement their WW2 classes with it, and if so, you can download an extensive Teacher's Guide from Random House Australia. 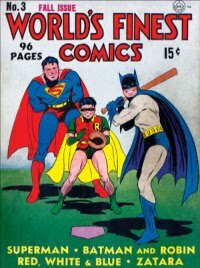 This is a series I definitely want to read. I like that the third book stood up to the others. Your review was awesome and so informative! Thanks, Stephanie, this really is a wonderul series. There is something in it for everyone and covering the a span of over 10 years, it never gets borning. I hope you do get a chance to read it. Sounds like an excellent series, I'm looking forward to your review of the third book. It is a great series, Zohar, though probably with more girl appeal since the narrator is a girl and talks about things guys don't generally care much about. But for sure it is an excellent series. This really does sound like an interesting series. I think I will treat myself to all three books or see if I can borrow them from the library. Excellent review. Thanks, Barbara, this is really a nice historical fiction trilogy. I enjoyed it very much and if you like I Capture the Castle, you will probably like it, too.